Government’s national integrated ICT policy white paper essentially amounts to the “nationalisation of spectrum in South Africa”, with “significant negative implications for current spectrum licence holders”, consulting and research firm Africa Analysis has warned. This, coupled with the creation of a wireless open-access network (Woan) — which “can lead to the ultimate contraction of the number of [network]licence holders participating in the wireless market” — is broadly negative for the ICT sector, it said in a newly published guide to the white paper. The Woan is problematic on several levels, Africa Analysis said. Firstly, the concept of such a network has not been proven anywhere in the world and certainly not on the scale proposed in South Africa. Other questions arise, it said, such as how responsive such a network be to service provider needs and how the capacity on the network will be allocated (probably not proportionally to investment). Lack of real power by private sector operators in determining how their investment is applied may also deter them from committing sufficient funding to make the project feasible. Also, by removing infrastructure competition from the market, competition will be limited to service quality. A standardised network will limit service providers’ ability to innovate based on technology. 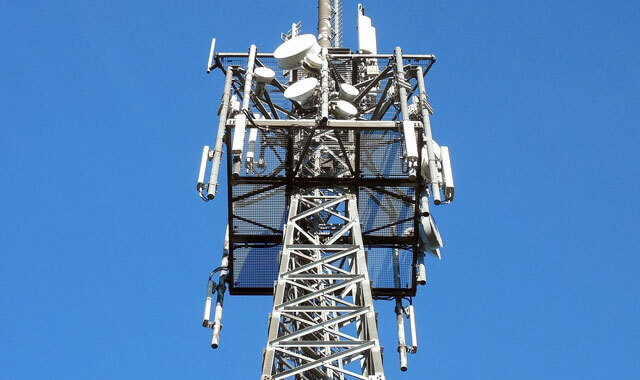 The white paper has also mooted the idea of forcing operators to return their existing spectrum allocations — which they’ve used to build 2G, 3G and 4G/LTE networks — so that it can be reassigned for us by the Woan. Critics have described this as unconstitutional. Africa Analysis said the implementation of this part of the white paper will “lead to loss of confidence in investing in the infrastructure market”. “Furthermore, the white paper does not present how the government intends ensuring that the Woan is a success. Failure, or potential failure, of the Woan can place a significant financial burden on the state,” it said. Ultimately, the white paper, if implemented in its current form through legislation, could lead to a contraction of the mobile telecoms industry, Africa Analysis warned, with network operators reverting to being simple service providers. “In effect, the mobile operators will not be able to exploit their [network]licences to offer wireless services,” it said. Africa Analysis has also questioned the wisdom of enforcing open-access principles on network providers, warning that this could deter investment in infrastructure. So the current status quo of a massive duopoly with ridiculous communication and data costs and crap service is the better of the two evils? I think not only the state has been captured. own? If so, where are the usual quotes that accompany such a release? Why does it not even promote the report’s findings on its own site? Let’s look at this a bit further. It says the national network would nationalise the spectrum. Yes, it would. Nobody even denies that – the argument is that spectrum is a limited and valuable national asset. Why make that a key finding? Are they invoking it simply for the sake of the word? Maybe make some of the middle class run scared, as they do whenever the EFF uses that word? Did their lawyers perhaps suggest ‘state capture’ would be going too far? Where is the data? The report claims infrastructure competition is the way forward. According to who or what? How exactly does that benefit virtual operators and the smaller companies that need spectrum? The networks often justify their high prices as a matter of costly infrastructure. They used the same argument to try and restrict OTT services. So how exactly will infrastructure competition make the market more competitive when it has failed to do so up to now? Also note the intro: “significant negative implications for current spectrum licence holders.” Nothing about consumers or reduction of prices. The report – at least what is written above, since nobody has linked to this so-called report – is full of ifs, buts and maybes. The language is very carefully used to suggest problems, but not actually substantiate them. The claim that this could hurt wholesale suppliers of fibre is also dubious and, again, not substantiated. Somehow, despite the glut of fibre we have, an open-access network is what will kill those operators. Again, reaching without any proof or data. Everything in the article above is speculative, plus the actual report is not shown. This is highly suspicious. The duopoly has in the past released questionable reports through third parties. They have released numerous reports claiming communication costs in SA are not actually high. I think this is another such attempt. Paid propaganda invoking fears of the state, not actual research that contributes to a meaningful discussion. This ‘report’ looks very vague. I suspect it’s more spin from the big networks than actual substance. I said previously that the big operators will use their money to employ stooge “experts” to lobby against this policy. The government must remain resolute. What’s even more suspicious is that you registered a handle to specifically to respond to this piece. It’s a bit like a cheating husband being suspicious about his wife – a propagandist accusing everyone else of propaganda. Nice try and better luck next time. 1) Data costs are high because government has been sitting on unallocated spectrum for at least five years. 2) Do you really believe that government has a track record that suggests it has the ability to pull off what hasn’t been done anywhere else in the world? Cry me a river. So it’s because of govt that data costs are high? Was it not the govt that gave the duopoly the massive financial incentive of asymmetric rates against Telkom? And we all know how that worked out for them. I ask again: Do you really believe that government has a track record that suggests it has the ability to pull off what hasn’t been done anywhere else in the world? TechCentral has been captured by monopoly capital. Shelf the straw man arguments, Dave, and focus on the issue. Shall we talk about the track records of the large operators? Funny, I can remember the data issue preceding the spectrum one for several years. This is a false flag: the reason why we have high data costs is the big two have set that benchmark and ICASA has practically been their lap dog. Previously they blamed infrastructure cost and at other times they punted biased reports that tried to claim we weren’t paying high data costs. You are just echoing their latest dirty trick. If you want to talk about track records, start with the duopoly. In this case I trust the government slightly more than the two networks that have run the show for the past two decades. Here’s why this piece is amiss. Firstly, the heading screams one thing -damage to the ICT sector- whilst the entire piece is actually anti-Woan. It must be understood that the spectrum is but one element in the ICT space. The write wants us to believe that the ICT white paper will damage the ICT sector; this a wrong notion as it suggests that the sector is as good as it can be. This is wrong because since 2006, government and paying customers (individuals and corporates) vehemently spoke against the high cost to communicate. On this very portal TV viewers/subscribers are known to have complained about the public broadcaster’s endless shenanigans, boardroom brawls and their below par programming. DStv/Multichoice were not spared with your readers and others lambasting the media company for their high (subscription) rates visa vis the unappealing content/programming. One has also noted from your readers (among others!) a vicious attack on the Telco’s high data costs, “disappearing” data bundles, etc. Recall the general reaction when Cell C launched their initial price war and adopted a pro-OTT stance against the other trio’s attempted resistance. I can go on. My point is, these expressions were nothing if not an illustration of how hapless, archaic or hamstrung the ICT sector and its Regulator were. We needed a new direction and the White Paper provides that in ample proportions. However, people must understand that it is not for the White Paper (a policy document) to articulate on the detail of some issues of implementation; that detail is for the legal drafters of the new Law to achieve; of course with everyone’s input and information. The big lesson for some people to learn is that everyone interested has a right to make their voices heard on implementation matters. Only such a broad participation will strengthen the ultimate ICT Act. The White Paper seeks to alter the course of the ICT sector and to suggest otherwise -as this article does- seeks to perpetuate the status quo and this such is unacceptable. What is your view on South Africa’s mobile infrastructure. If it was bad, you probably wouldn’t be arguing to share it? Also Interesting that you think a monopoly is the best solution to a duopoly. The issue is that it is only natural to want to have free / cheap access to what somebody else has spent hundreds of billions to build. To legislate for this is somewhat socialist and expropriative. I sincerely hope that, should you make a ton of cash out of being one of the “small players” to enter the mobile market, that the next new regime don’t pull the rug from under you. What exactly is it that you want changed? Let’s understand that so that there is a proper solution to your concerns.